Links CLI based browser with graphics for OS X requires to install XQuartz and compile and make installation manually. In this guide we have provided an overview. This might not be a standalone guide – we already have a full guide for installation of Links CLI based browser with graphics on OS X. In order to use Links CLI based browser with graphics for OS X you need to follow few extra steps and some modification of the command. Still if you follow this guide, that is enough for installation. As we have said, the previous full guide for installation of Links CLI based browser actually provides all the steps. Please open that webpage on separate tab, follow the steps properly, the guide will give you a demonstration and the point out the reason why the normal ./configure –enable-graphics command does not work and constant throws configure: error: No graphics drivers found. This is where the error configure: error: No graphics drivers found shows up. But this will not throw any error. Previously, the location was /usr/include/X11 as OS X / Mac OS had X11 by default. But we are using XQuartz. The path has changed, so the path has been – /usr/X11/include. In other words, people copy pastes the old wrong path with actual checking, that is why the error shows up. Thats it. Run links command with -g flag, it will open your desired webpage with images nicely. This Article Has Been Shared 8975 Times! 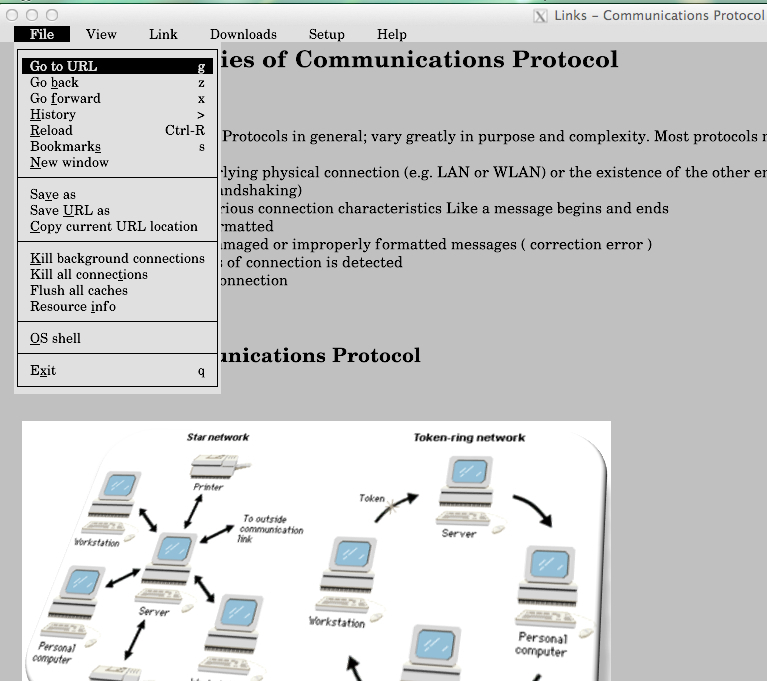 Cite this article as: Abhishek Ghosh, "Links CLI Based Browser With Graphics for OS X Video Guide," in The Customize Windows, August 16, 2013, April 21, 2019, https://thecustomizewindows.com/2013/08/links-cli-based-browser-with-graphics-for-os-x-video-guide/.